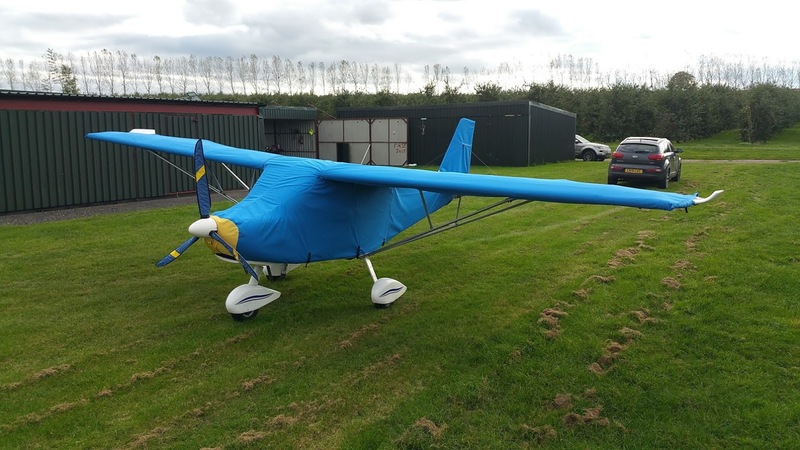 Top Flight Sails products, microlight and hang glider sails, panniers, helmut bags,wing bags, propeller covers and wing tip protectors. Here are some of our products, essential for the dedicated aviator. All our products are made on site in the U.K. - not imported. WING COVERS for Flexwings and 3 axis aircraft. and U.V. degradation outside with our wing covers. Choice of 3 different materials. 1. Lightweight silver coated ideal for inside and out. give you a good deal. Full set Lightweight silver coated. £1350+VAT. service offered by Top Flight Sails. 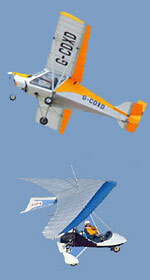 microlight, Huntwing and Avian hang glider sails. Any job is considered no matter how big or small. quality. Comes in black with a choice of coloured lids. pilot. Has an exterior zipped pocket for maps, keys etc. is waterproof, breathable and uv protected. specifications. Sold singly, high visibility tips extra. aileron, rudder and get £ off! Spat protectors. Fit or remove in seconds. Available in single skin or padded. make it. Just tell us your colour scheme. spec. In sinlge skin or padded. sizes and five different colours ( see illustration).